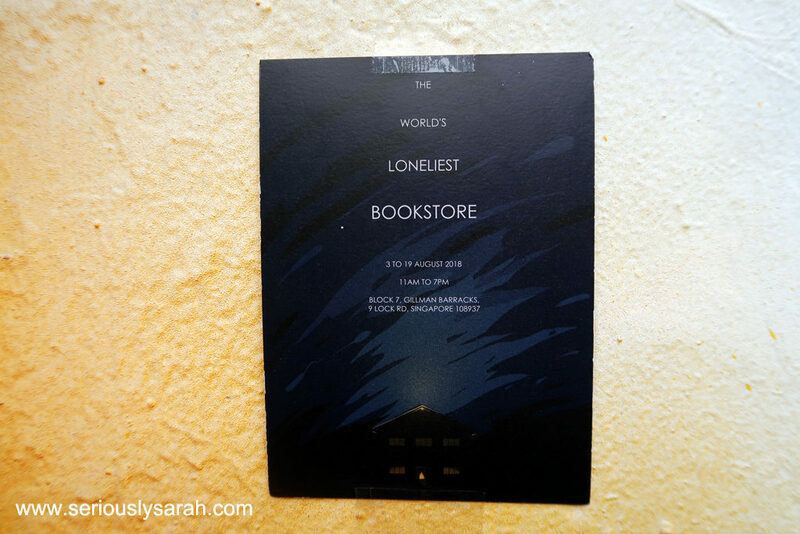 The World’s Loneliest Bookstore by BooksActually in collaboration with D/SINI is held until 19 August 2018. So you guys reading this still have time to visit it this coming weekend! A freak solar flare on a magnitude nobody has experienced before has wrecked the Earth’s natural environment, causing volcanic eruptions and devastating oceanic activity. Infrastructure all around the world collapsed as a result and many lost their lives to the freak disaster. The world’s population was somehow reduced to its bare minimum following the end of the devastation. Only 4,169 people remain around the globe, just enough to repopulate Earth. 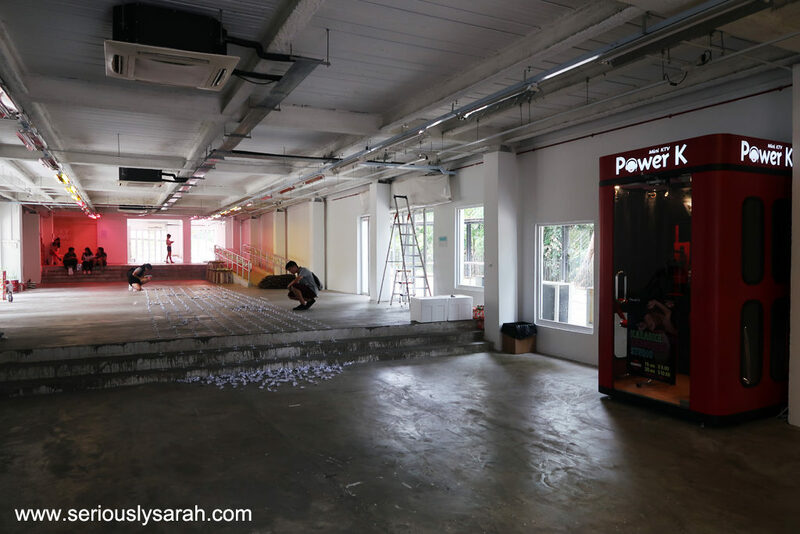 Following the disaster, only one woman remains in Singapore. With the 20 books she has scavenged, she has decided to set up what probably is the last remaining bookstore on earth. 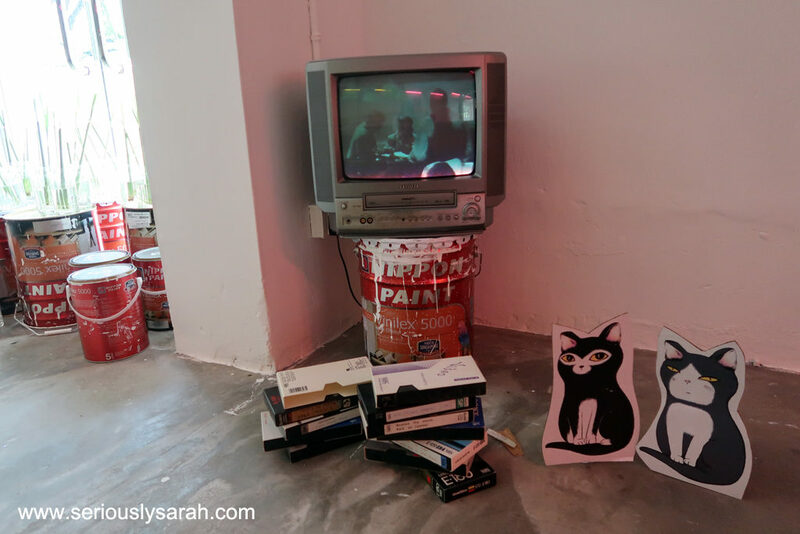 The rest of the bookstore is outfitted with other scavenged bits: a few paintings, an old television, a spare radio that is constantly trying to reach somebody else out there, and other bits and bobs. Everyday she waits for someone, anyone, to reach her bookstore while she finds solace in what she has. Thus begins The World’s Loneliest Bookstore. 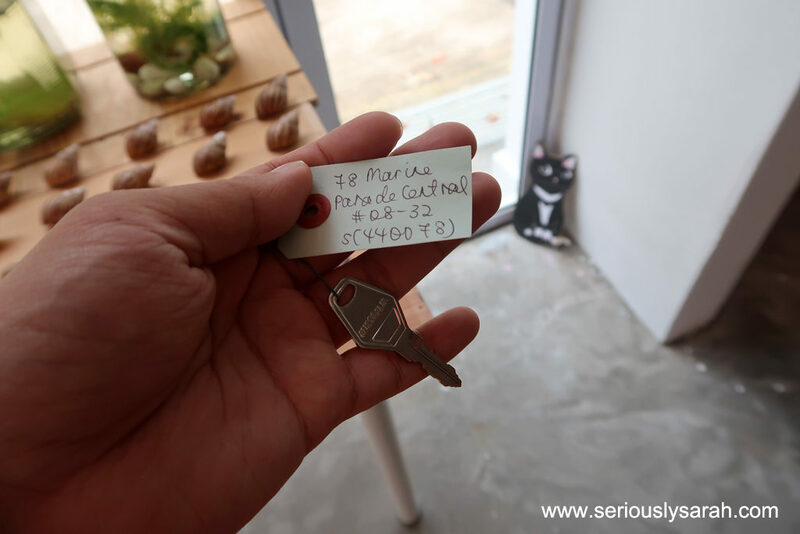 So head on to block 7 of Gillman Barracks, 7 Lock Road, Singapore 108935. It opens from 11am to 7pm daily until the 19th of August. I went there on national day because that was finally an open day for me to check it out. The most “Huh, I didn’t think that would happen but I guess it’s likely” is a karaoke booth. I don’t know if it is meant to be there but it should be? But it really gives that whole if it’s a post apocalyptic world, I guess a karaoke booth would be entertainment to just sing in. You can look around an experience yourself and even take a key from a tray. So far that I know this is a real block and it faces towards east coast beach. If at the end of the world and you could choose pretty much any house in Singapore since there’s no one else, I would try to choose this one. There are other addresses which are technically near my current home too. 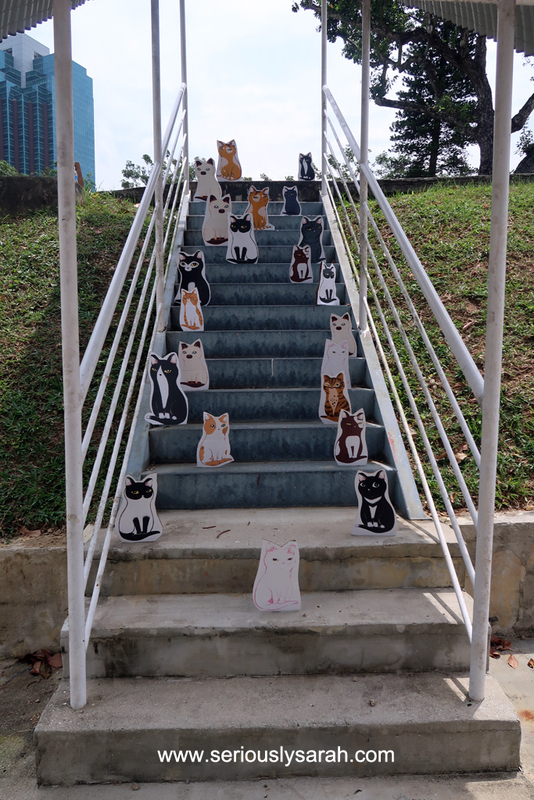 There’s so many cats around. Which makes sense since we have so many community cats about. Also did I buy anything from the world’s loneliest bookstore? I got Rachel Heng’s Suicide Club. 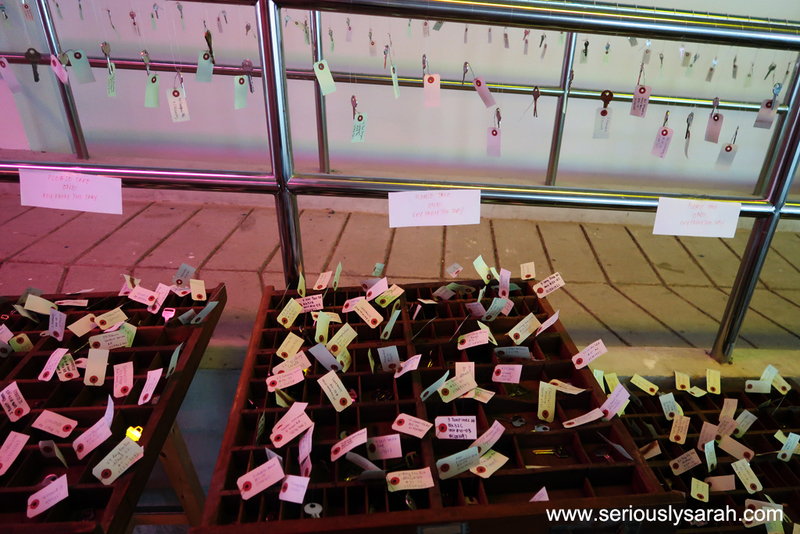 Head on to Gillman Barracks before it all ends for this pretty surreal and chill experience. Also since you’re there, you probably can take influenza styled photos at the pink pineapple nearby. Ps. Of course I tried the karaoke booth. Pps. 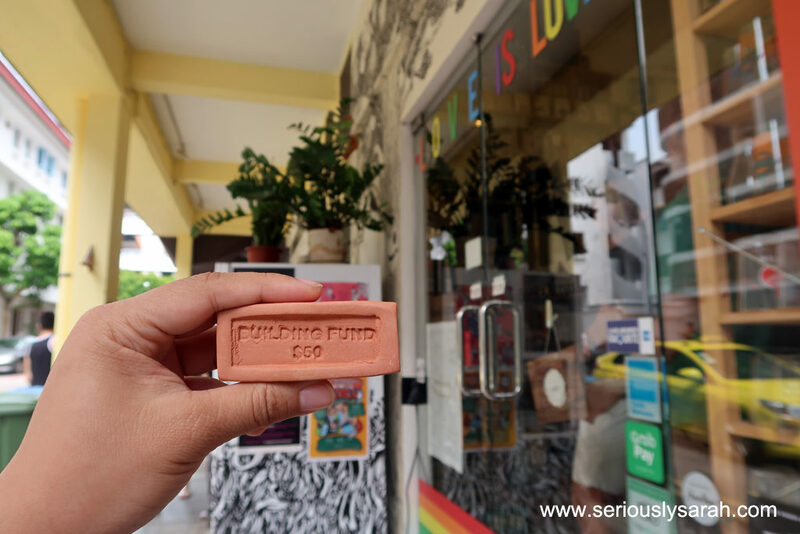 I went to BooksActually at Tiong Bahru to get that brick since it was an open day for me so I explored. 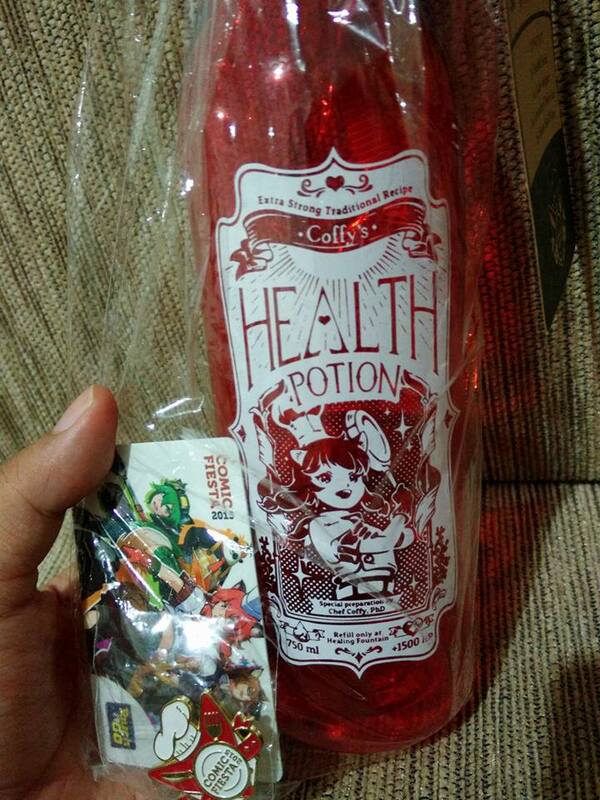 This is part of their shophouse fund. You can get one too. 6 May 2017 was the first Free Comic Book Day that GnB had at their new premises at Kitchener Complex. No more queuing up in the heat but it was so much slower than before since it was in air con and… WHY ARE PEOPLE BROWSING AT THE COUNTER? We have Howard giving up mini prizes to quiz questions while we waited in line. OK. That was a mini hiatus of sorts? Not sure who noticed but yeah. I’ve been doing things. 1) Love Kuching needs your help financially (transfer moolah to DBS current 027-905975-3) if you can’t volunteer your services. You can know more from their website. I did that mini vid for them and they’re my choice of cat charity to go to. 2) THIS COMES OUT on 1 November at the Singapore Writers Festival! 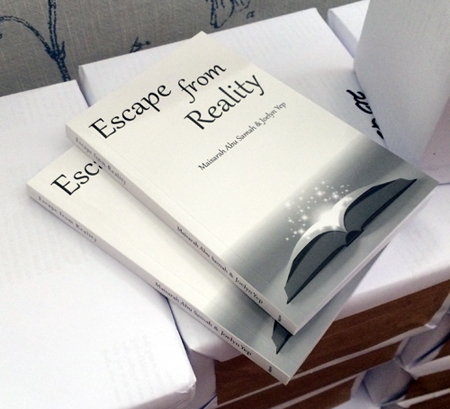 Escape from Reality! It’s an anthology of short stories of the fictional sort. The fantasy-ish kind. $20! After the official launch, you can get it ordered directly through us or the publisher. More details then. 3) NANOWRIMO KICK OFF PARTY! We’re going to Comic Fiesta! Yes. It’s in KL so if you wanna chope any of us to meet any of you guys, ‘book’ us early. Last year had been fun so we’ll see how it is at the new location! 5) I’ve been on shoot for a mini series. Hence why I haven’t updated in a bit. I’ll tell you more about the series when it is officially out on 27th November! 6) I’ll be at the library customer appreciation day on 6 November. I don’t know why I had to add that but in case you guys are there, you can say hello to me. The library people are always so nice. Ambika English Trailer from Millenia Motion Pictures Pte Ltd on Vimeo. Or watch the whole telemovie on Toggle here. I think it is only available for those in Singapore though. Darn you regional restrictions? 8) IT IS THE 10th run of N.E.mation! Soooooo I’ll BE BACK to support the teams! But why do the teams I support always get the top? Is it a correlation, a stroke of luck or what? HMMM? Tune in this year and we’ll see. 9) I’m doing the Spartan Race. Soooo I got to train (more). 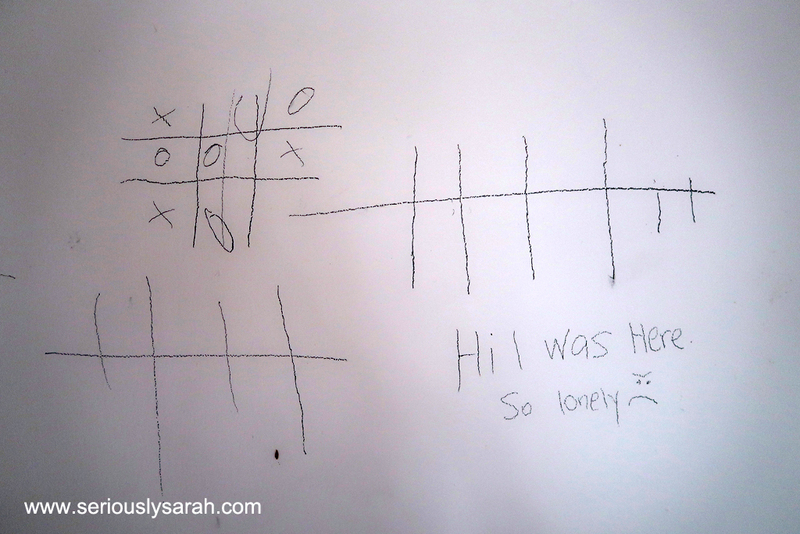 10) I’m blogging here, aren’t I? SO WOOOH. OK. More posts ahead. I’ve been watching The Great Doctor, or Faith as some channels would call it. It’s a different time travelling Doctor. YES. THIS IS A Korean drama historical time travelling series with a doctor. Her companion would be a warrior, a commander of the Yuldachi, the army that helps protect the king. ANYWAY, LISTEN TO THE OST. Time travel, romance, actual doctor thingies in which patients are treated. Hey ho! Have you checked out the Noq store? 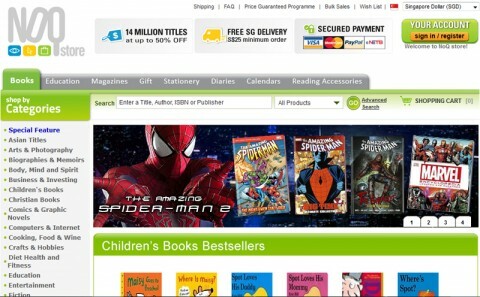 It’s a newish online store for books here in Singapore. It’s the e-commerce side of Times Publishing! So besides the other bookstores that I’ve talked about before years ago, this is a new one to hit the internets that seems promising. For one thing, it’s not just books! They have stationery and other accessories too like Moleskine. Alright then. I was given a voucher by Noq to try out their store so this post will be updated when my purchases arrives in 7-14 days. There’s 7% GST so make sure you account for that when you do purchase your books. Since it’s quite new, the search function seems needing a bit of an update. It can be a bit ‘slow’ while the pages load and some things might be weirdly categorized (why IS John Green’s The Fault in Our Stars in the stationery section?). And their ‘price’ sort order is a bit iffy since they’re also showing things that are out of stock and thus cost $0.00. Besides all that though, if you know the title of the book you’re searching for, it seems to be able to search it ok! Try it on the computer, not the phone since some options are kind of hard to press if so. The popup for the search by author/isbn/title needs a good hovering of the mouse before you can click it. Also, I was searching for a book that just came out on 6 May and YESSS IT IS IN THE STORE (it’s 11 May on the time I clicked purchase). That’s wonderful so that means their stock is pretty up to date even if their current web search isn’t. You know what I like about the checkout part? They DO have an option where you can checkout as guest. Means I don’t have to signup if I want to. Just buy and go. Well, not go because I’m at home when I’m doing this so yeaaah. So that is nice. They don’t have a notification of how much you have purchased as a highlight on top where checkout is though but that’s just the designer in me going meh. You can find out your ‘total’ when just clicking it anyway. At the time of this post they’re having free deliveries for orders of $25 and above. PLUS YOU get 15% discount if you type in SARAH until 30 May 2014 in the Noqstore. So cool right? Ok, we’ll wait until my books arrive and I’ll update THIS post with the info of how the books are delivered then. Posted on May 12, 2014 May 11, 2014 Categories The LiteraryTags book, literary, reviewLeave a comment on The Noq store! What it says. I’m just leaving it here. Sponsor a story, not with money but with comments, chocolates or cats. Ok, the last not really but cat pictures are good too with a message on it. I’ll be writing my stuff as usual but if you sponsor a story chapter, it’ll get written faster because it’s like being ‘commissioned’. You CAN get an original fic sponsored with a word prompt but with real items though, like how Mizhalle gave me actual chocolate and I wrote this with her prompts. The more comments/reminders, the faster a chapter will appear. If there are none, a chapter will still appear but sloooooooowly. And you can start by commenting at this post here. But what IS Ashes to Ashes? We are finally crossing the next step and making one of our biggest strides forward. BooksActually is not what it is today without the people who have walked through our doors for the past (almost) nine years. They are that German gentleman who comes in every other day to buy a book before heading over to Jerry’s for a jug of beer; that family who visits us every Sunday after breakfast across the street; the father who comes every Christmas to buy books for his missus and three daughters; the writer who sits behind our counter on quiet afternoons helping us to stamp-chop paper-bags; or the young dating couple who took a picture of themselves in a giant birdcage, creating an illusion of lovebirds (their son is now almost two). The bookstore is not what it is today without every single one of you who has loved us, hated us, and lightly nudged (or forcibly pushed) us to move forward — to be better, climb higher and dream bigger. So yeah. Cause it’s silly if their rent keeps increasing and whatnot. They might as well buy a piece of property to keep things low since the price of rent is ridiculous. THUS! BUY A BOOK or some random goods from them. So I went to Sydney and wow. What an adventure, the first thing we did while we arrived at the airport was make sure we had our data stuff! I used Optus and Lyn used Vodafone. They’re just there when you get out of the arrivals at the Sydney international airport. Both are good but I’m fancying Optus for their $2 per day for 500mb data and free local (Australia) sms and calls. Vodafone had some deal like that too but I just had Optus cause my friend passed his microsim to me in Singapore. From the airport, we took the train to town hall! Pretty easy really, just got a multipass with an airport exit pass and a 1 week pass. We were going to be there for 6 days so, it’s pretty ok since we took a zone 2 multipass which meant we got to travel around the main city area anyway. 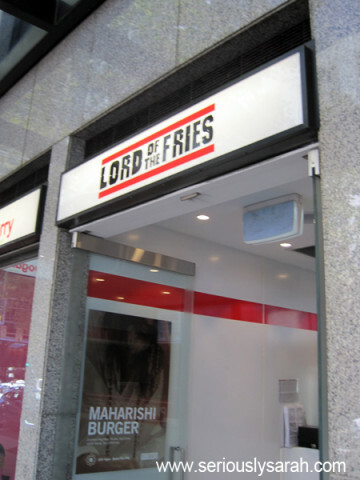 The first place we walked around and look-see-ed was Lord of the Fries! Land of the Meat Munchers! Land of the Meat Munchers is by Nicholas Yong aka Incoherent Boy! It’s his first novel and it’s pretty fun! 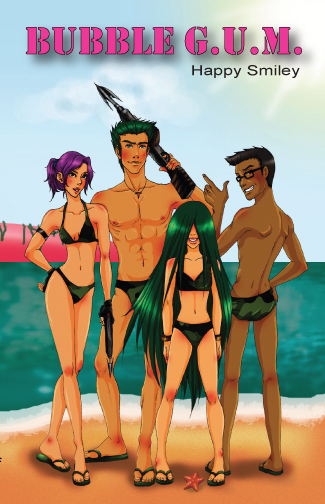 Think of it as young adult adventure book? 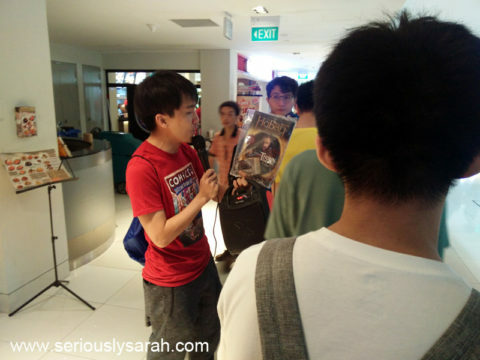 Basically it’s a zombie story SET IN SINGAPORE. If you didn’t know in Singapore, we don’t have guns or ballistic weaponry easily but Nick managed to get it all believable even if we didn’t have them in this post zombie apocalyptic world! 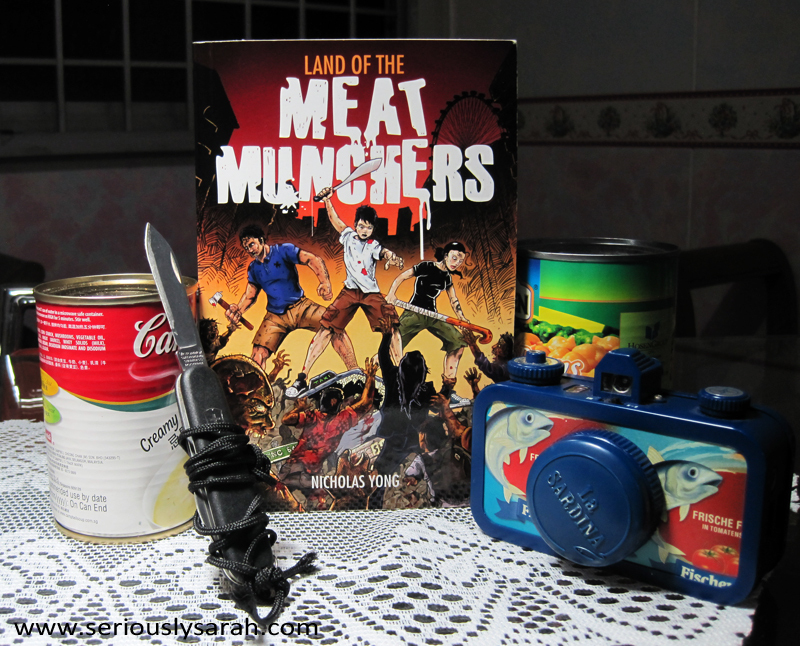 Continue reading Land of the Meat Munchers! Posted on December 23, 2013 Categories Reaction ShotsTags book, NACLeave a comment on Land of the Meat Munchers!